Robyn O’Brien, Food Industry Advisor. Founder of AllergyKids. Healthcare, Innovation, and Leadership Speaker. She has been called “food’s Erin Brockovich” by Bloomberg and the New York Times. From a conservativeTexas family, O’Brien earned an MBA on a full scholarship, graduating as the top woman in her class before going to work as a financial analyst that covered the food industry. For over a decade, she has helped lead a food awakening among consumers, corporations and political leaders. Armed with data and analytics, food companies and policy makers respond to O’Brien’s work. O’Brien highlights the actions needed at the local, national and global levels to secure a smarter food system. She has presented to multinational corporations like Bloomberg, Compass Food Group, Chipotle, Nestle, Target and others. O’Brien has also worked with and advised grocery stores, farming associations and startups in the food industry. She sheds light on how the changing landscape of food and health are impacting the food industry and our economy. While working as an equity analyst, she was specifically assigned to cover the food industry where she had the opportunity to meet with the management teams from Kroger, Costco, Whole Foods and other companies on a regular basis. She also met with Goldman Sachs’ Henry Paulson, Ebay’s Meg Whitman and Martha Stewart as they were taking their companies public. She leads a non profit and an advisory firm and is a best-selling author, public speaker, strategist and mother of four. She brings insight and detailed analysis to her research on the health of the American food system as documented in her first book, The Unhealthy Truth, and has been called “food’s Erin Brockovich” by Bloomberg and the New York Times. Her work has appeared on CNN, CNBC, Bloomberg, the Today Show, Good Morning America, FOX News, in the Washington Post and countless media outlets, and she wrote a very popular column for Prevention called Inspired Bites while serving as the Executive Director of the AllergyKids Foundation and doing strategic advisory work for companies making trend-setting changes in the food industry. 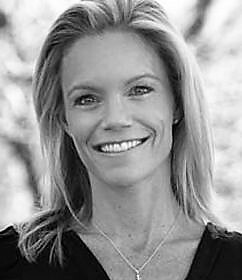 Recruited by institutions like Enron and the oil and gas industry, O’Brien grew up in Houston before moving to Colorado and is the founder of the AllergyKids Foundation, Do Good, and as a founding team member of Free2b Foods. Her focus is on restoring the health of American families in order to address the burden that disease in placing on our economy. All of her initiatives and work address the needs of the 1 in 3 American children that now has allergies, autism, ADHD and asthma and the growing number of American children with cancer. On Mother’s Day 2009, Random House published her acclaimed book, The Unhealthy Truth: How Our Food Is Making Us Sick and What We Can Do About It and today, Robyn is regarded as a food and health expert and sought after speaker who lectures and writes extensively, addressing the economic burden that disease is placing on our families, our companies and our country. O’Brien earned an MBA on a full scholarship, graduating as the top woman in her class. And today, her work is recognized and supported by renowned individuals such as Dr. Oz, Robert Kennedy Jr., Ted Turner, Bonnie Raitt and Prince Charles. She serves on the Board of Directors of Healthy Child Healthy World and other non-profit organizations. She also serves on advisory boards for start ups and has been hired to speak at Target, Compass Food Group, Bloomberg and to both organic and multinational food companies. She is constructive and solution-oriented, recognizing that solutions must address shareholders and stakeholders concerns if they are to be true solutions. Named after a farmer, she also is focused on supply chain issue and the financial structure of the farming system. Since giving her first TEDx talk in 2011 in which she discusses research she conducted almost ten years ago, the World Health Organization now reports that the U.S. ranks 7th out of almost 200 countries worldwide in cancer rates and has declared glyphosate, an ingredient used on genetically modified crops, a “probable carcinogen.” Pediatric cancer and food allergy rates are still increasing in the United States, and her TEDx talk made O’Brien a lightning rod for those resistant to seeing the status quo change. O’Brien firmly believes that while we can’t change the beginning of our stories, we can change the end. Ten years into this work, she is living testimony to the fact that hope is the knowledge that change is possible, even when it seems hard to imagine.